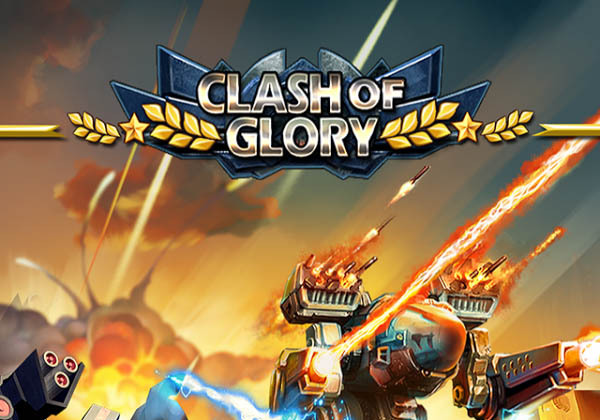 Clash of Glory - Experience the future of the battles dominated by the giant Mechs in this epic war games never attempted by humans. Command an army of Mechs to obliterate your foes with no mercy and witness the enemy’s base crumbling into dust. Taking over the cities, fighting over the resources, planning the strategies, you will truly be a General of Wars. Grow your army from a few Mechs to a real strong fighting forces that no one can match in this world. Forge alliances with other players from all over the world to fight against the common enemies and become the great world conquer. If you are a big fan of real-time battle games and love strategies then this game is definitely for you. Try it out for FREE and then you can decide if you want to be that legendary General who conquer the world or just be …..
• Unlock more than 20 Mechs with some unimaginable weapons and armors. • Build your base into a fortress that no one dare to touch. • Battle against the players all over the world and rob their precious resources and rarest metals that worth millions of dollars. • Join with other players to form military alliances and fight together to win the epic City Battles, City Invasions and War Campaigns. • Find countless rewards and loots to help you progress in the game. Clash of Glory: install APK and play the game.